At Collabware, we are constantly building features that are geared towards modern records management and prioritize wholistic user experience. The fourth version of Collabware CLM not only contains highly-anticipated updates, but also includes several features that have been implemented with long-term functionality in mind. While these new features have been built to fit the DoD-certification standards, we've used the guidelines to better our product with the future in mind rather than only focusing on ticking off certification boxes. We were using this legacy certification to guide us while asking: "how can we update this product to further streamline and simplify our users' experience and future-proof it for the long term?" Enter Collabware CLM v 4.0! We've ensured that this version is a quick and easy upgrade for Collabware CLM customers, building a simple upgrade transition with the new major features included. We've delved into each of these upgrades in feature-specific posts that we've listed and linked below. This feature introduces a secondary layer of security on top of existing SharePoint security to better enforce principals of least privilege. Access to content can be assigned via user metadata selection. This is completely unique for a SharePoint DoD-certified product! Curious to learn more? Check out the full blog post here. This feature not only allows you to export any content from SharePoint, but also its metadata. This is good for e-Discovery and FOIA requests, moving content to archives and long-term storage which is less costly. 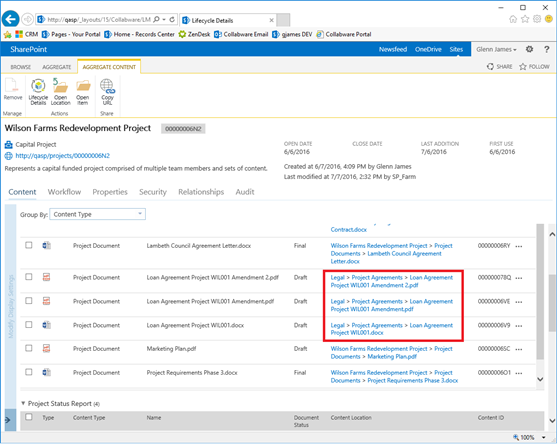 Transfer and accession actions have been added to support the export of content in Collabware CLM workflows. Read more about Content Exports here! And lastly, to support the DoD requirement of interoperability we have created the ability to import content from all other DoD-certified software, regardless of platform. You can now export the file plan as an all-in-one readable document, allowing you to skip the spreadsheets! We see this as a fantastic feature for government agencies, since there is a growing trend of requirements being released demanding representation of file plans as they exist in records management systems. It's now easier than ever to find and manage your categorized content. We’ve added the ability to view all categorized content for a Record Category from within the File Plan, allowing you to monitor volume and stats. Learn more in this blog post. This long-awaited feature is finally here! With the ability to set up record categories with vital content, times, and email notifications, this is an incredible option for anyone working with disaster recovery plans. VRR is delved into more in this post. A lot of Collabware CLM users have asked for the ability to update the metadata on an immutable record, and with the edit immutable feature, we now have that ability. To learn more about this feature, check out this blog post. Based on your feedback, users now have the option of circulating physical content without first having to create a circulation list. Moving and circulating physical content can now be done through the Lifecycle Details interface as well. More details about this feature here! An often requested feature, we now have a search page for users to create their own search queries in the same way as the Information Query Web Part. The Information Query Web Part can now display and query on workflow metadata, trigger workflow actions on search results, and create content and metadata exports. In addition, Record Categories are now findable from within the Information Query Web Part. These IQ updates are explored in more detail in this blog post. Overall, we hope these teasers get you excited leading up to this new version upgrade - it will be a big one. 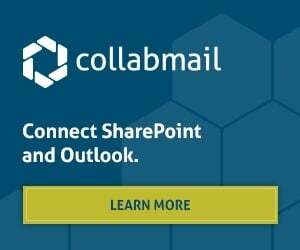 To learn more about Collabware CLM, get in touch, download our product brochure or sign up for a free demo here.